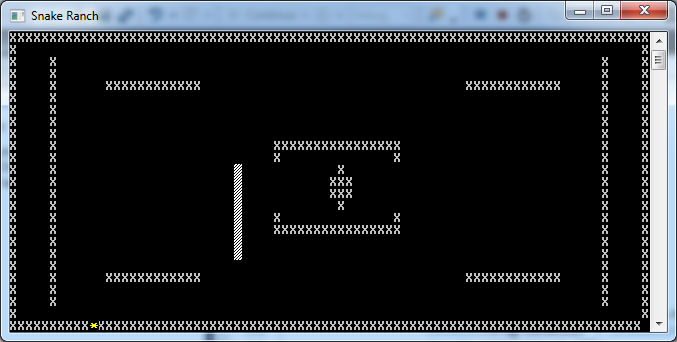 Among my early articles were two that showed how to write a simple ASCII art Snake game for the command line in c# (see part 1 and part 2). 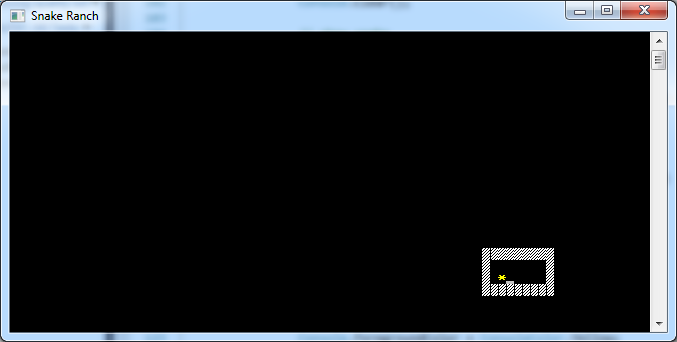 Recently, someone called Mizukage Yagura requested that I continue this series, specifically to address (a) the Snake moving continuously in a direction until a different arrow key is pressed, and (b) collisions between the Snake and walls or itself. We will address these two points by continuing where we left off in part 2. The values in this enumeration work pretty much like integers, but they are much more readable when you're working with them, as you'll see shortly. Just before our game loop (the while (true) bit), we can now set an initial direction (right in this case), and create a thread that will handle the continuous movement. In that thread we are passing a Move() method, which we haven't created yet; but we'll get there soon enough. Now, we want something to happen when the Snake bumps into a wall or itself. Note that since the walls in the grid never change, this is pretty wasteful since we can just draw it once at the beginning and then only draw the Snake at every move, taking care to clear the square where the snake's tail was; however let's keep it simple.